Retail outlets spend a large part of the year preparing for the holiday season. 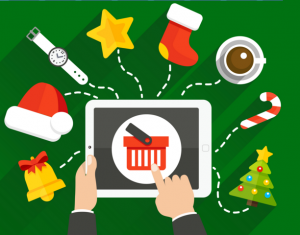 E-commerce marketers spend as much time or possibly more preparing and optimizing campaigns for the season. The trick is to plan and invest your paid shopping dollars and maximize the holiday sales. The hottest product online for retail advertising is Google’s product listing ads, also known as Google Shopping. Rather than bid on keywords and generate ads, brands now use Google Shopping to sell products directly. The ads themselves are prominent on the page and only appear in search results for that specific product, so there is no wasted ad spend. This is the same service that is at the heart of the recent EU action against Google. It is a shopping comparison service that shows products (and pricing) direct to consumers. The other hot property is Amazon. As many as 50% of all shopping and product searches begin on Amazon. A lot of brands and marketers still haven’t made full use of Amazon’s suite of ad products. Retailers can run sponsored ad campaigns and use Amazon PPC to increase sales of their products. It is worth noting that your product should be on Amazon if you want to run one of the above campaigns. Display ads will always be part of any online marketing mix. The key is to complement this campaign with your efforts on Google Shopping and Amazon. Work on getting your ads in front of consumers that have shown an intent to purchase shortly.